Show Me Your Stationery | Phil – Refuelled! First of all, you’ll need (obviously) a stock of the various kind of paper you like to use. I find coloured paper very useful because you can allocate different colours to different subjects. Shop around for bulk packs of assorted colours. 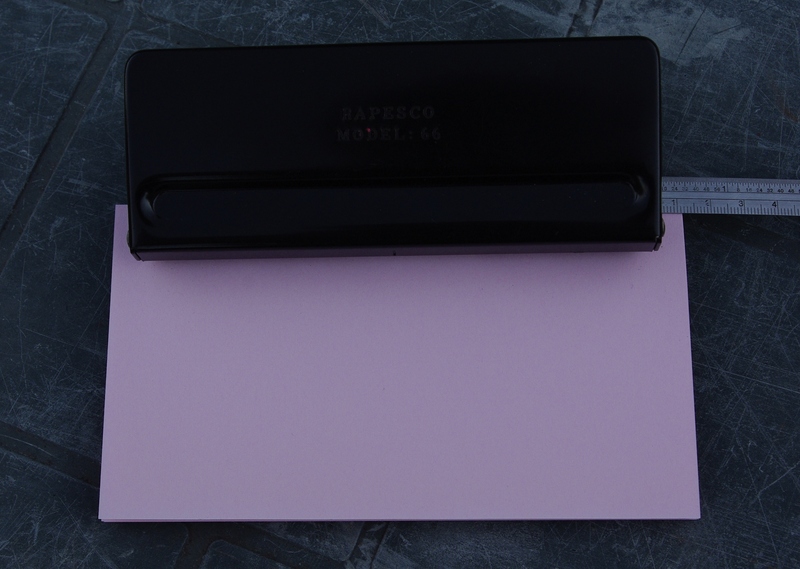 Squared paper is also a winner – just get hold of an A4 pad. Then you’ll need a trimmer like this one – again, shop around for one that suits your needs as they are clearly useful for lots of things besides making organiser pages – all sorts of craft work, preparing printed photos for display, in fact for any time you need a straight and clean edge on a piece of paper! Generally, more expensive ones will have greater cutting capacity. The other main item you’ll need is – no prizes for guessing – a special 6-hole punch. This is comparatively expensive as it has only one purpose, but, with care, will last a lifetime – and is available in an adjustable design to suit standard and small-size organisers. 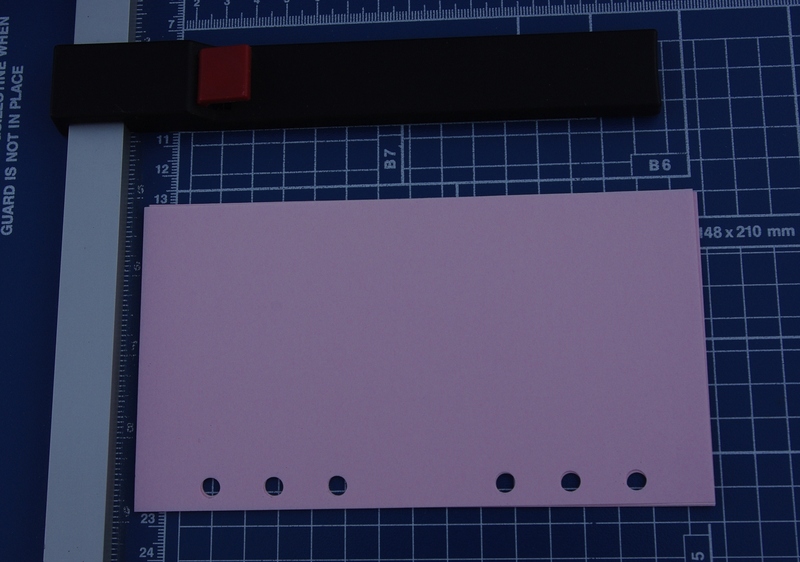 This picture shows pink A4 paper being reduced to 170mm wide – for the long side of the pages. This measurement isn’t sacred, by the way – a little more or less might suit you. Also note that for lined paper, and for the smaller organisers the cutting plan will need to be different, but the general idea is the same. Oh, and those little left-over strips make bookmarks and other crafty things! 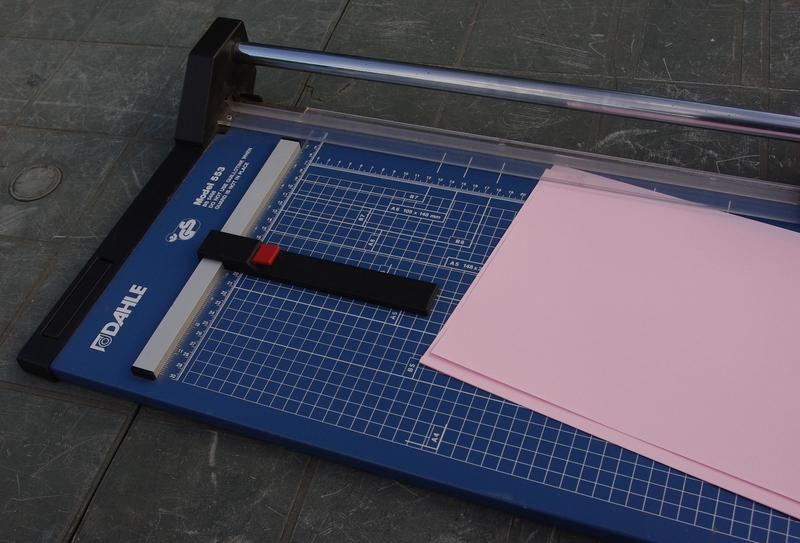 About five sheets at a time is sensible to cut. 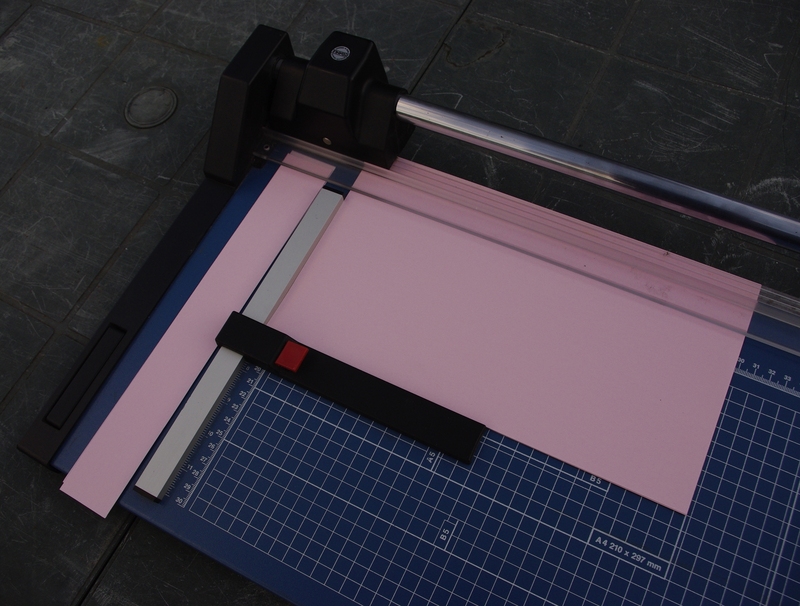 Next, of course, these sheets are cut in the other direction – typically to give a page 95mm wide – again, see what suits you. This give three lots, or fifteen pages in total at a time. This picture shows the special punch in use. Note the use of the rule to check that the pages are reasonably centralised. (Un fortunately, this punch doesn’t have a paper guide.) Again, five sheets at a time is about right for the punch to cope with. At the end of the job, a tray of coloured confetti is left! …And here is the finished product. 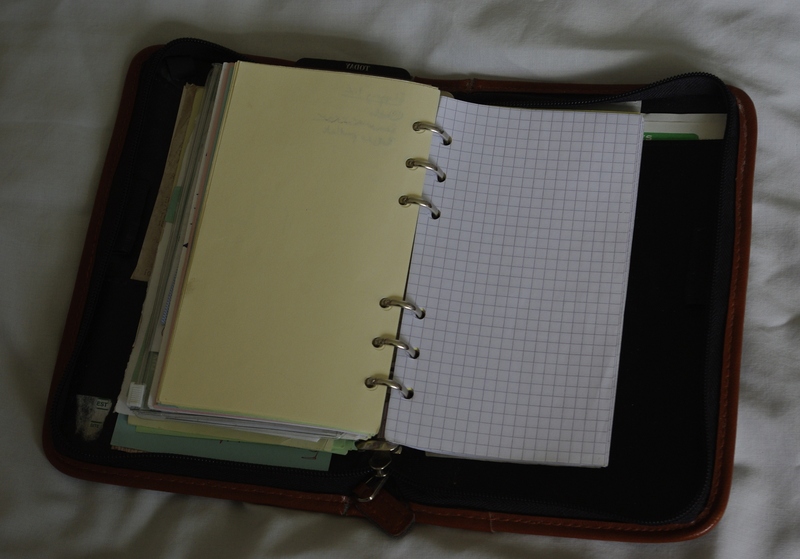 To sum up, in return for some initial outlay, with care you can inexpensively make as many (or as few) extra organiser pages as you like, when you like, from whatever paper you like – even in your favourite colour – and you’ll have the satisfaction of having something that’s just that bit different. I hope you find this post interesting and helpful.